SMOK is no stranger to every Vaper. SMOK's products have always been loved by friends like Massive Vapor. Well, today's SMOK T-priv 3 Kit still does not disappoint us. But do you really understand this product? What else do you not know about SMOK T-priv 3 Vape Kit? 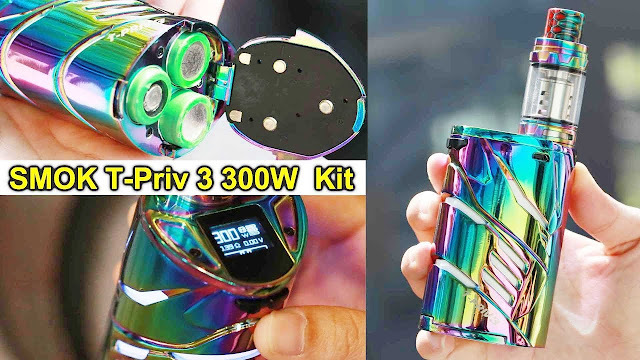 SMOK T-Priv 3 Kit is loved by everyone because of the large output of 300W, so before you buy, let's take a look at the SMOK T-Priv 3 Vape Kit details. I opened the T-priv 3 battery cover to see that it can accommodate three 18650 batteries. The three batteries not only give us a powerful output, but also support the LED's power consumption. Unlike previous devices, T-riv 3 uses a top display. This design allows us to control one hand. On the side of the mod is a large red area fire trigger. We use the thumb or four other fingers to have a good handling experience. Its hollow design with glowing LED lights, this is great, and you can also set the color of the light, which is very human. 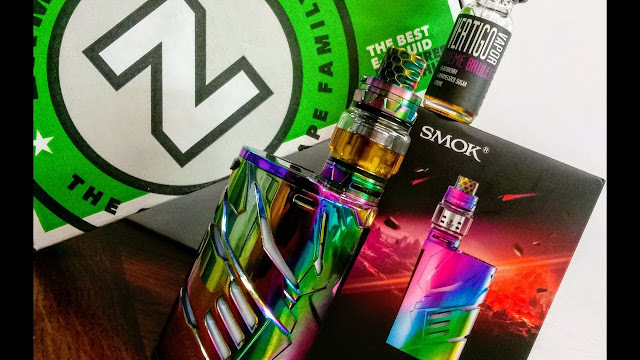 SMOK continues its classic packaging and the accessories we need are included in the package. When we receive this product, we can see the V12 prince Q4 coil and V12 prince T10 coil. Both coils can be used interchangeably. If you prefer to try mass vapor, you can use the V12 prince T10 coil. So this is the SMOK T-priv 3 Vape Kit. What do you think?